Convert movie collection to Zune WMV, MP4 for premium fun on the go. 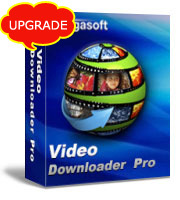 Bigasoft Zune Video Converter is an easy to use Zune movie converter for Microsoft Zune and Zune HD, which helps you transcode your movie collection including AVI, DivX, Xvid, MPEG, RM, MOV, 3GP, MKV, ASF, VOB, FLV, MOD to Zune WMV, MPEG-4 (MP4), H.264 video files, Zune 720p HD video, therefore you can enjoy movies, TV shows, and media in high-definition on your HDTV or take them for premium fun on the go. The Zune converter also provides you with a wide range of video editing functions such as cropping video, trimming any clip, setting encoding parameters and so on to fit your unique needs. 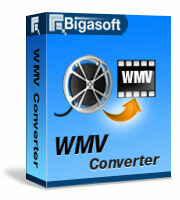 Free download Bigasoft Zune Video Converter and put your movie collection in the palm of your hand right now. 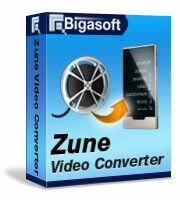 Ready to try or buy Bigasoft Zune Video Converter? Bigasoft Zune Video Converter helps you take movie collection with you for premium fun on Microsoft Zune HD, Zune 120, Zune 80, Zune 16, Zune 8, Zune 4, Zune on XboX and Zune on Windows Phone 7. The Zune and Zune HD converter transcodes your movie collection including AVI, DivX, Xvid, MPEG, RM, MOV, 3GP, MKV, ASF, VOB, FLV to Zune 720p HD video, WMV, MPEG-4 (MP4), H.264 video files. It can serve as a WebM/VP8 to Zune decoder and WebM/VP8 to Zune converter which can convert WebM/VP8 to Zune WMV, MPEG-4 (MP4) and extract music from WebM/VP8 and save as Zune audio WMA, M4A, MP3. Like a Zune MP3 converter, it can transcode audios like WAV, RA, AC3, MP2, APE, OGG, CDA, etc. to Zune audio WMA, M4A, MP3, AAC with excellent quality to hear superb songs on your Zune player. Only love music in a film or music video? The powerful Zune converter can extract audio from films to hear on your Zune MP3 player. Manually set specific output settings including bit rate, frame rate, sample rate, codec and channel to fit your Zune player. 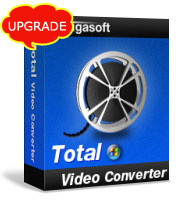 Video preview gives you the ability to preview the output or input file before conversion. Capture favorite movie images when previewing your video and save them as JPG, PNG, and BMP files to share movie scenes with your best friends. The powerful Zune converter supports batch conversion, you can convert multiple files at one time, and the after done actions can help you shut down computer automatically after movie conversion. Bigasoft Zune Video Converter fully supports multi-tasking, multi-core CPU processing and NVIDIA CUDA technology which will make the Zune video conversion faster than ever. Support multi-language interfaces, and five available languages including English, German, French, Chinese and Japanese are for you to choose. The Zune converter runs on all versions of Microsoft Windows including Windows 8, Windows 7, Windows XP, Windows Vista, and Windows 2000.